I’ve been reading the Paleo Parent’s blog religiously since I found it early last fall. In fact, it was Stacey’s success story that convinced to stop researching paleo and start eating paleo. Along the way, I’ve fallen in love with their focus on family friendly ancestral eating and how hard they work to share what they’ve learned. I appreciate that they work so hard to create paleo treats and kid-happy meals, knowing that it’s not easy for anyone – especially kids – to make this transition. It was a given I was going to have to pick up a copy of their book Eat Like a Dinosaur as soon as it came out. 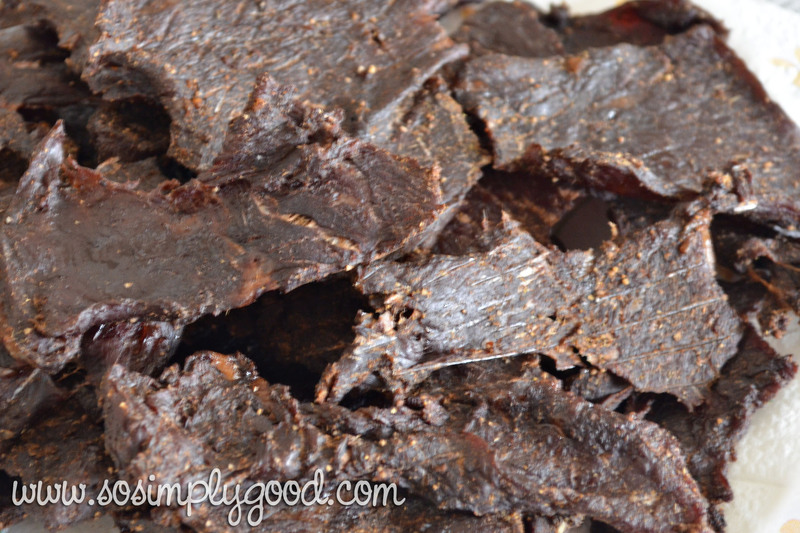 Teriyaki Jerky – why did it take us so long to start making our own jerky! This is more than a cookbook. There’s a lot of solid information about going paleo. There’s a great storybook section for younger kids to help them understand why they eat differently than their friends (my 3 year old nephew was enthalled with the illustrations). And there are the recipes. I love a good recipe. 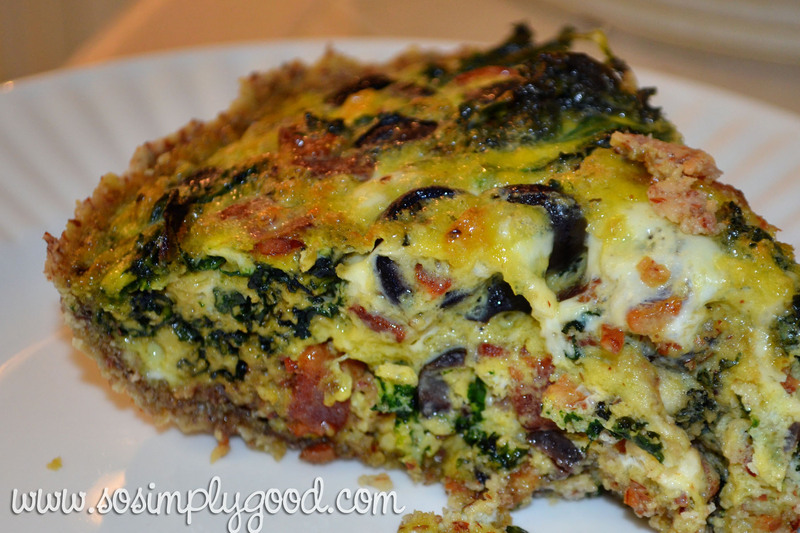 Kale, Bacon and Olive Pie – Easy, fast to throw together, delicious. Even more than that, I love a good recipe that I can take and make my own. Every recipe I’ve made so far from Eat Like a Dinosaur is one that’s given me ideas for ways I can adapt it. 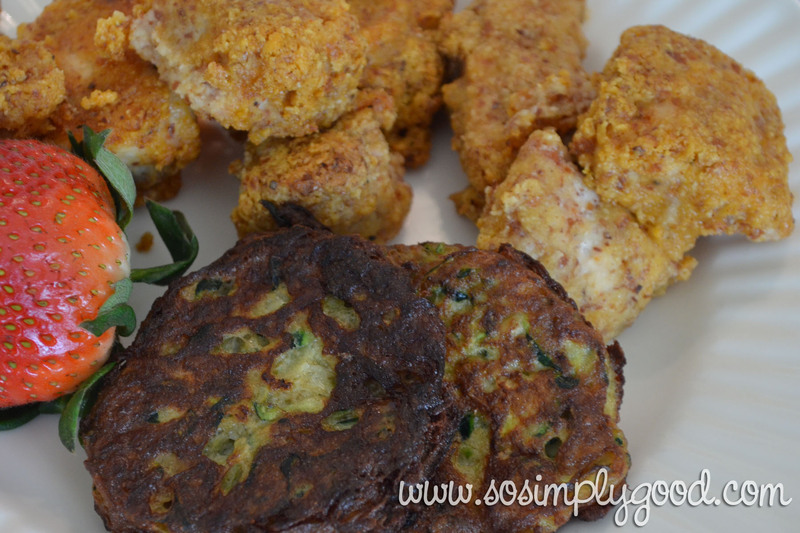 Those zucchini latkes? I made them twice. In three days. Instead of sweet as the recipe directed, I went savory – replacing the honey and spices with minced onion and garlic and a pinch of vadouvan (they’re divine and a perfect pairing with my chicken and cauliflower curry). The kale, bacon and olive pie? Swap out those items for sausage, mushrooms and spinach, or Canadian Bacon and diced artichoke hearts. The only recipe that I don’t intend to play with is the Chocolate Chip cookies…and that’s because they’re perfect. Seriously. 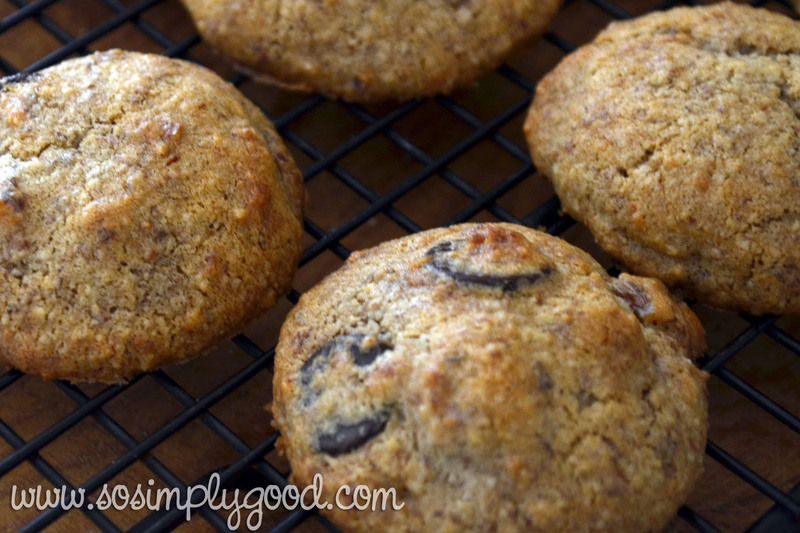 Better than the best “regular” chocolate chip cookies. That recipe alone is worth the price of this cookbook. I still have a huge list of recipes to try (50/50 bacon burgers and frozen waffles are high on that list), and I can’t wait to cook my way through the rest of this book. And I’m hoping they’re planning a sequel! 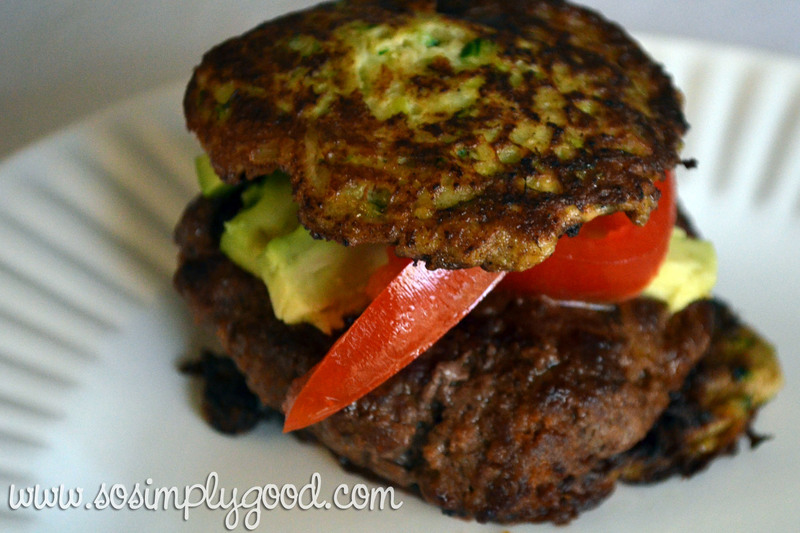 This entry was posted in Five for Friday and tagged eat like a dinosaur, paleo, Primal, recipes by Awkward Girl Gets Fit. Bookmark the permalink. I bought the e book to “review” LOL for my grandsons. So far my husband and I can’t stop making the 50/50 burger. Yes, the boys will be getting their own copies of ELaD very soon. I’ve had that one on my menu 3 times now and still haven’t gotten to it. This week!